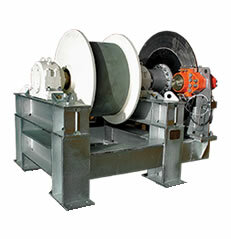 Each conveyor take-up winch is supplied as a fully assembled unit which consists of winch frame, rope drum, electric motor, motor brake, pawl system, slew bearing and planetary gear. 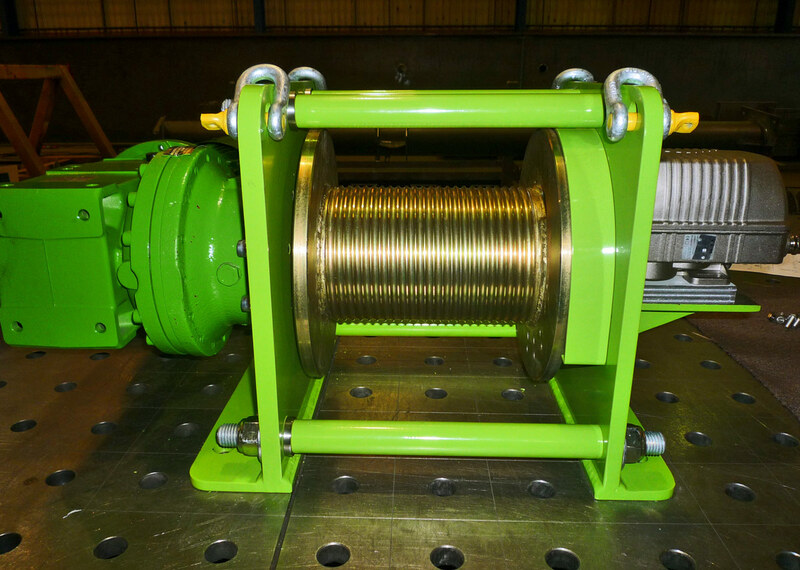 The wire rope is also part of the winch and supplied loose. 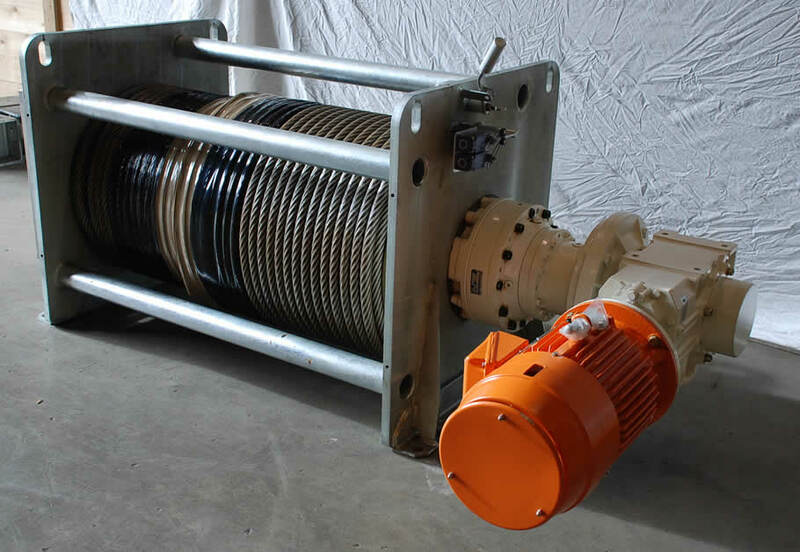 Each conveyor take-up winch is supplied as a fully assembled unit which consists of winch frame, rope drum, electric motor, motor brake, pawl system, slew bearing and planetary gear. 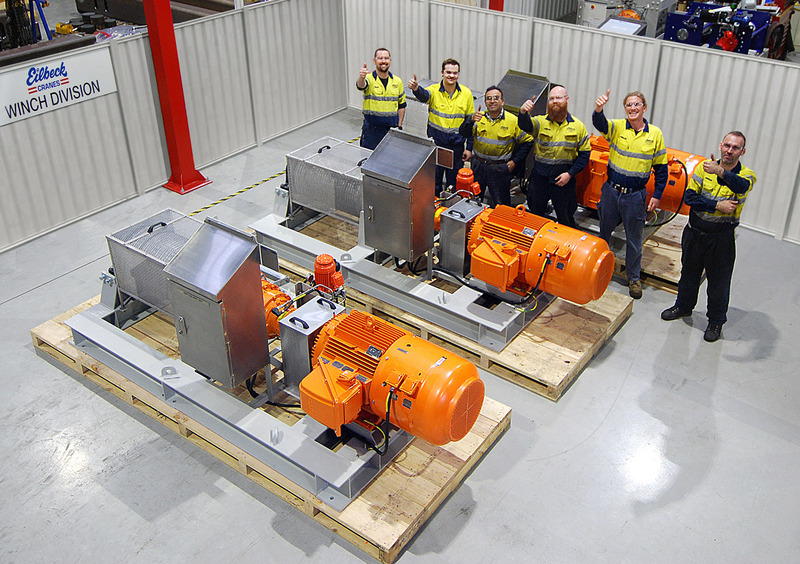 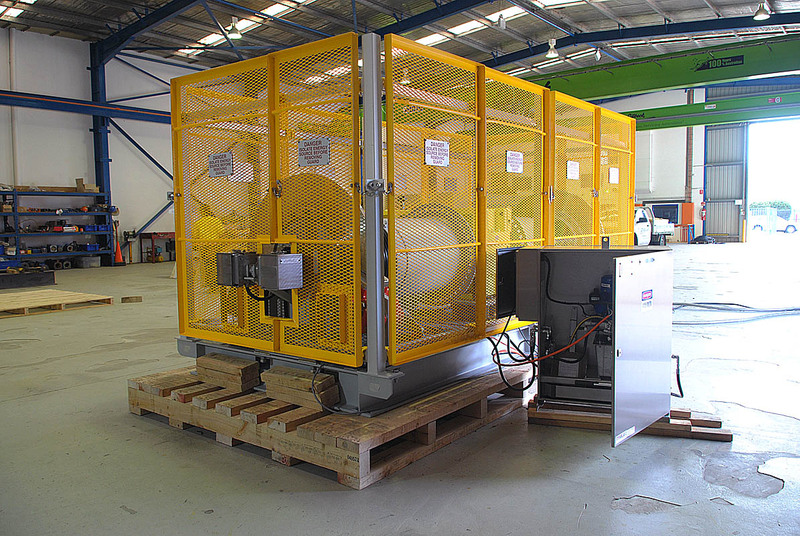 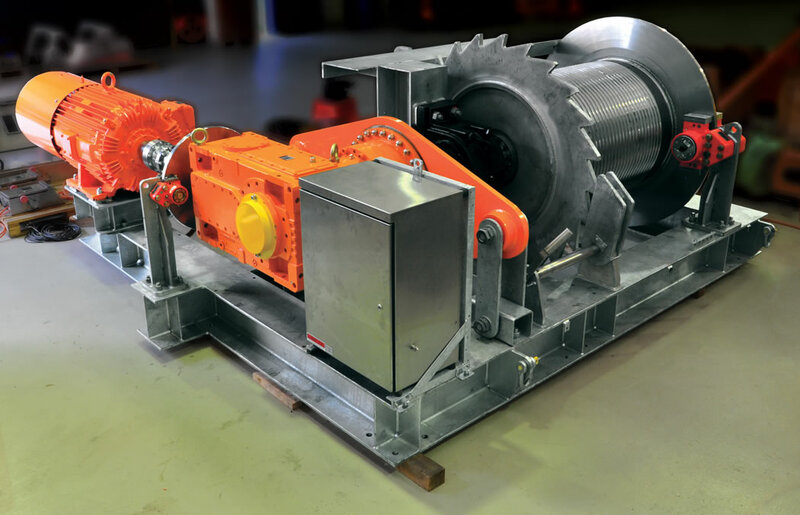 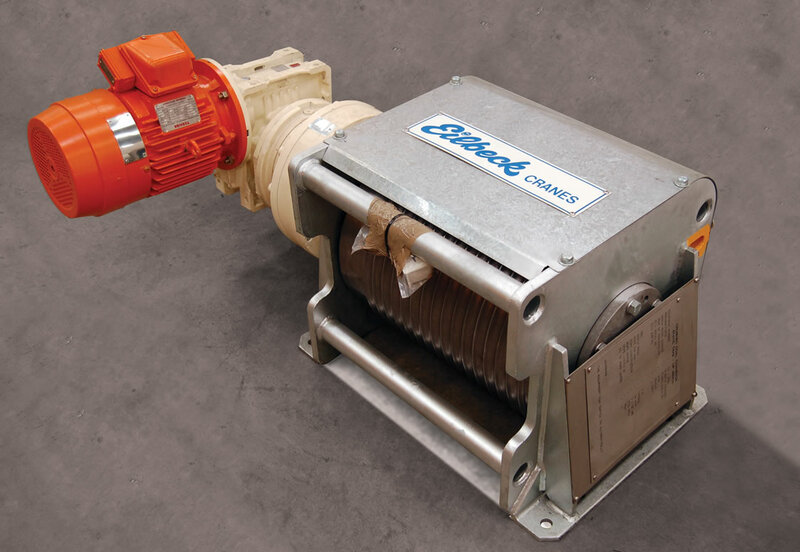 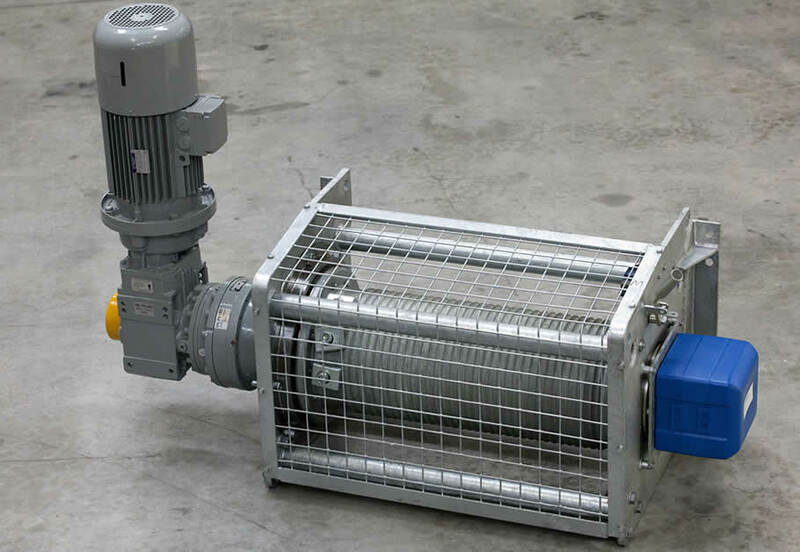 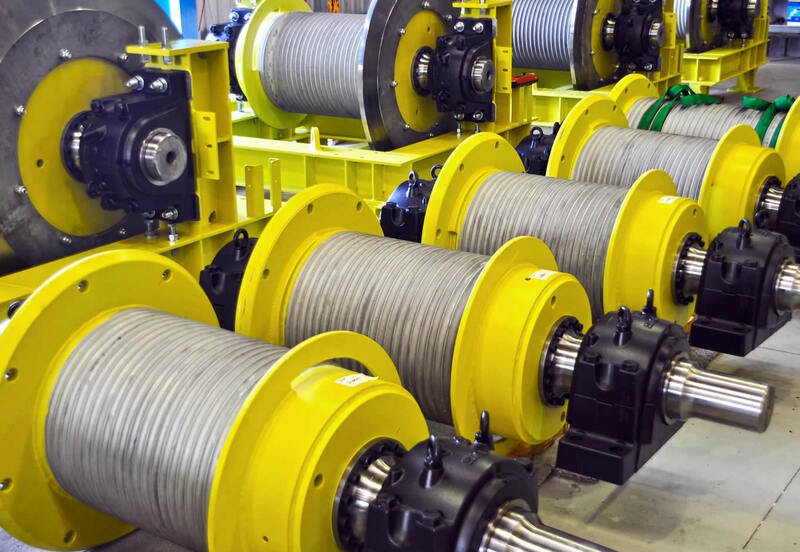 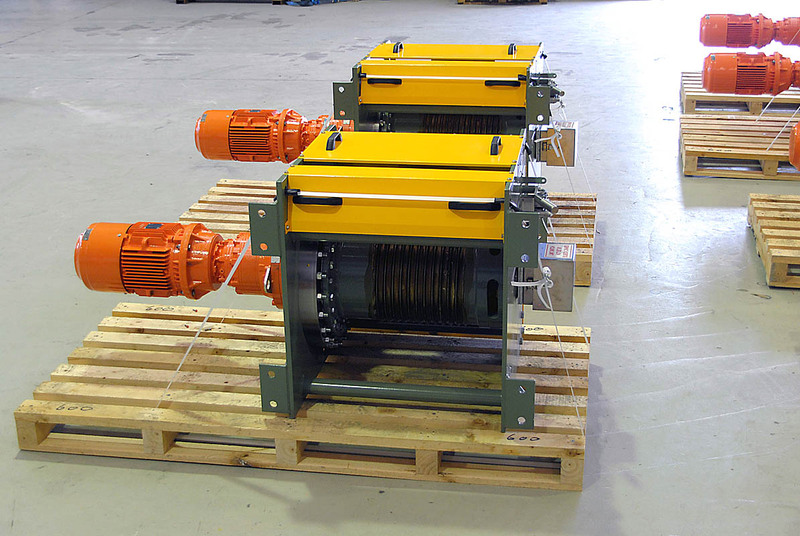 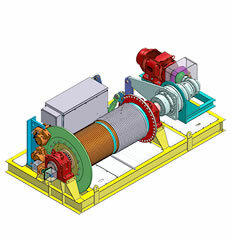 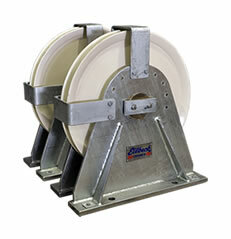 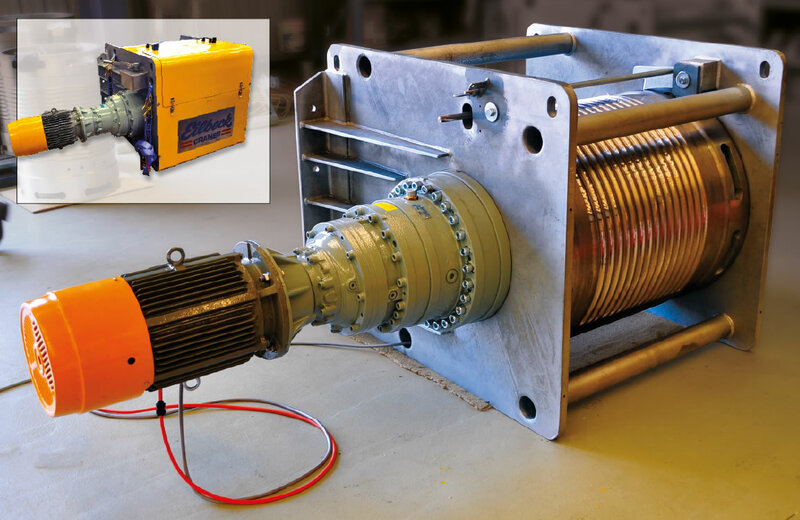 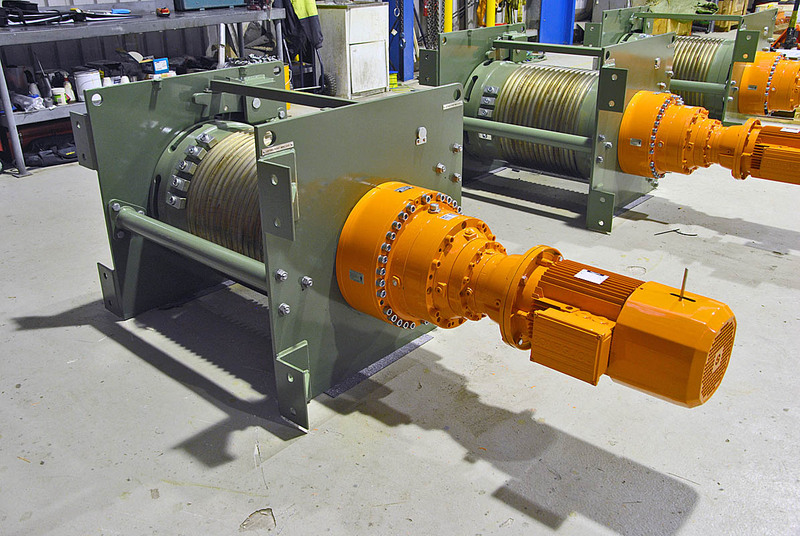 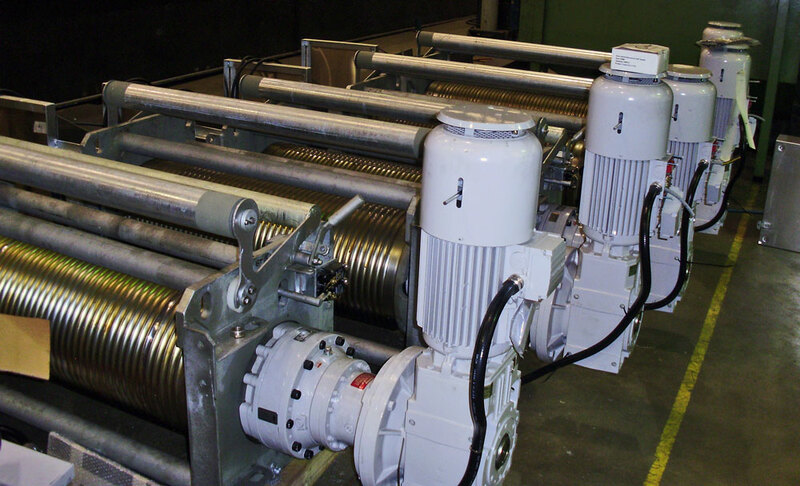 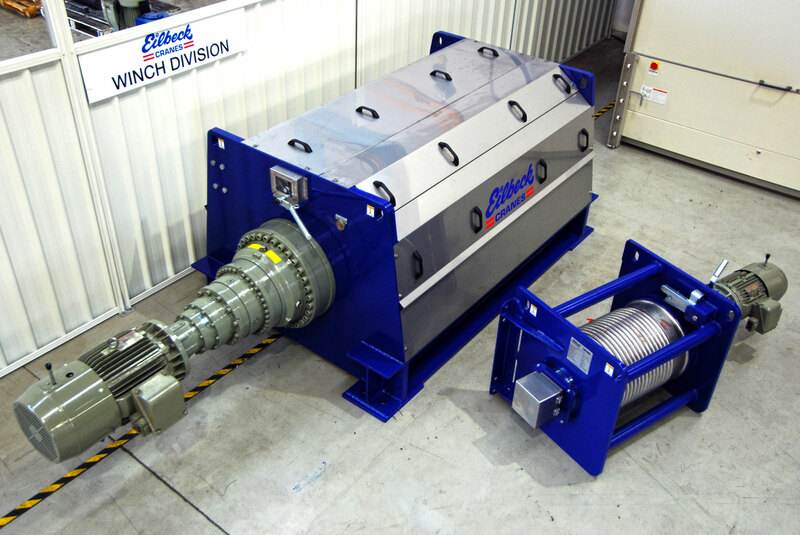 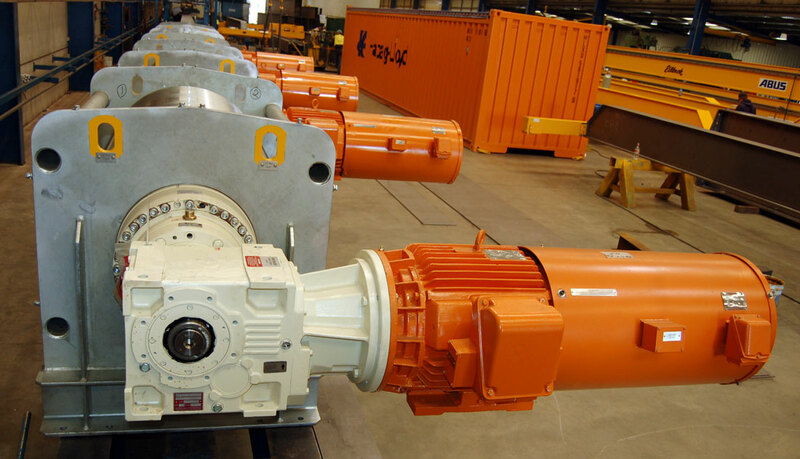 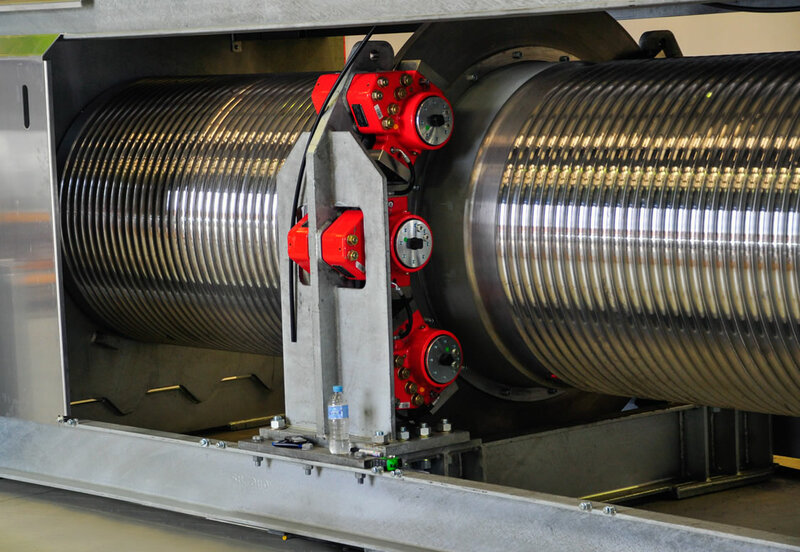 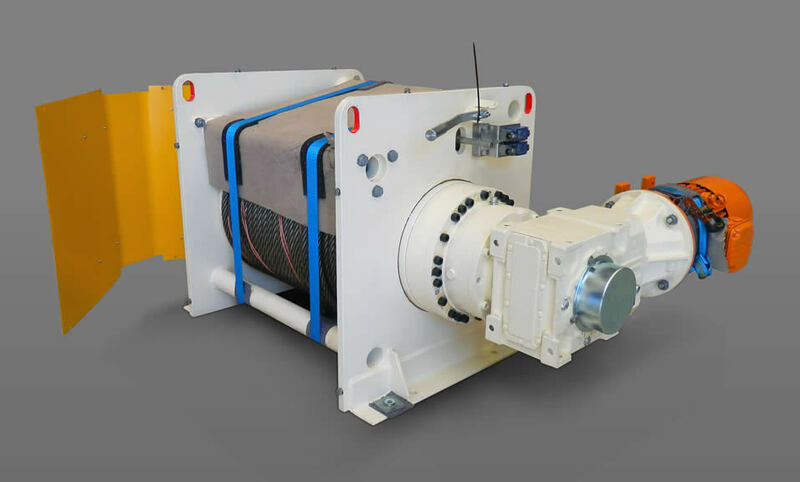 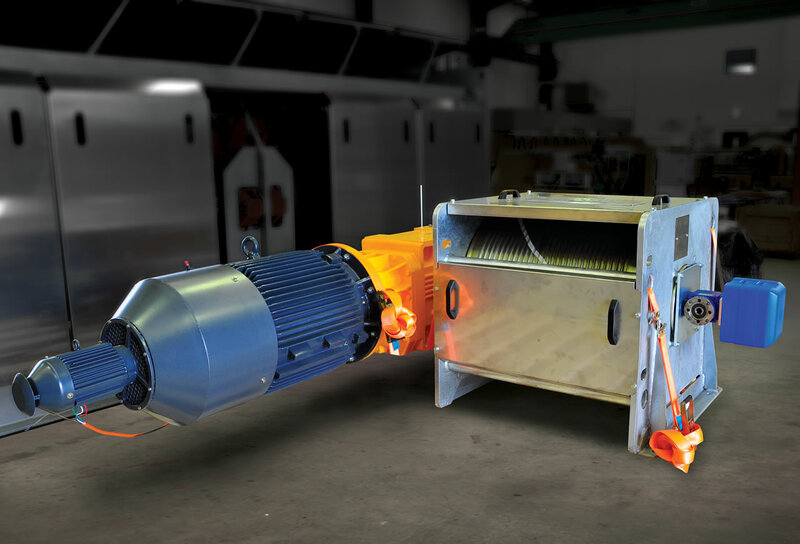 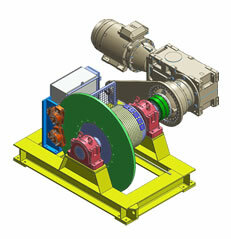 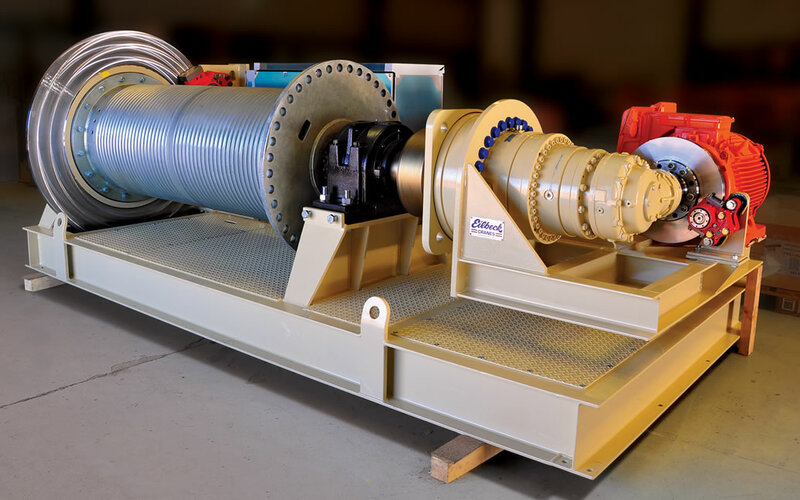 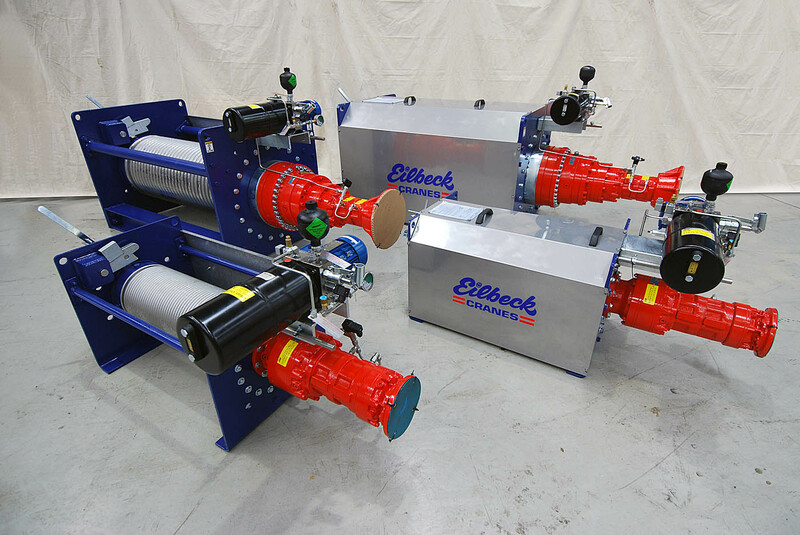 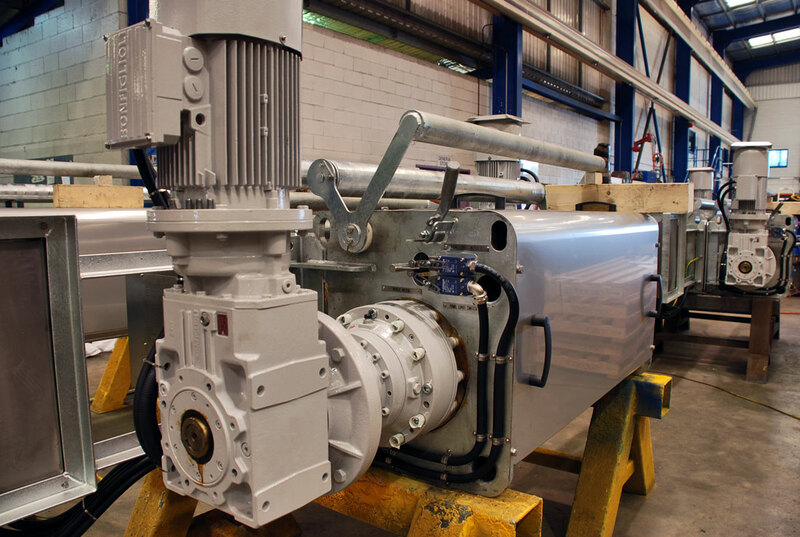 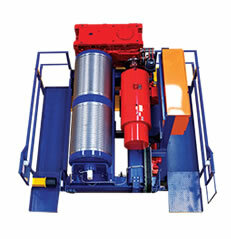 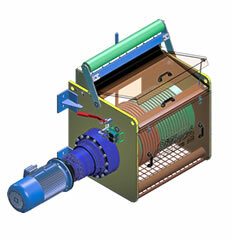 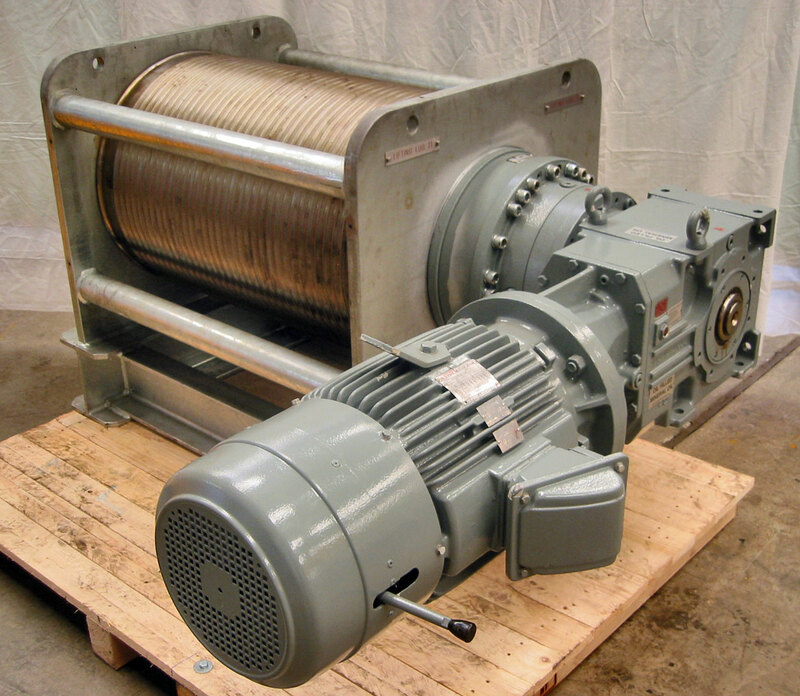 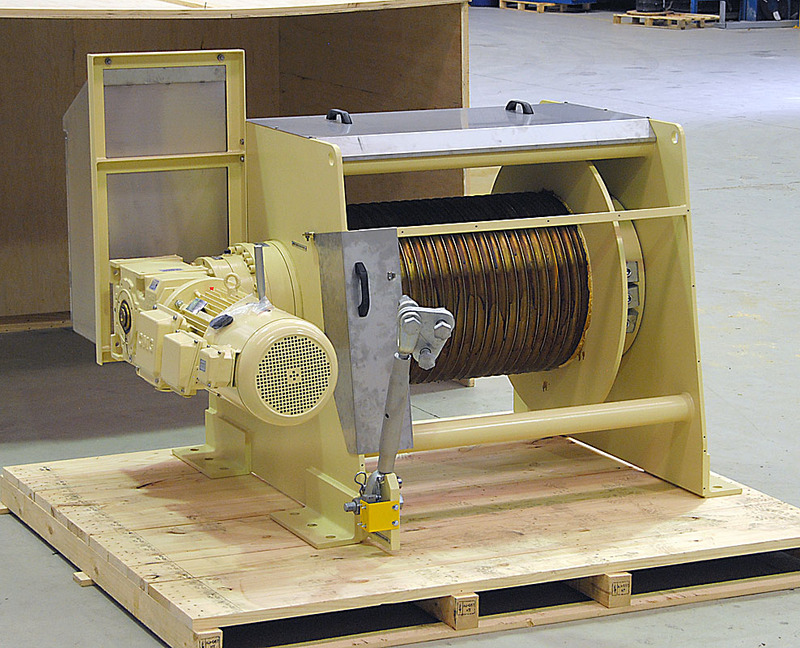 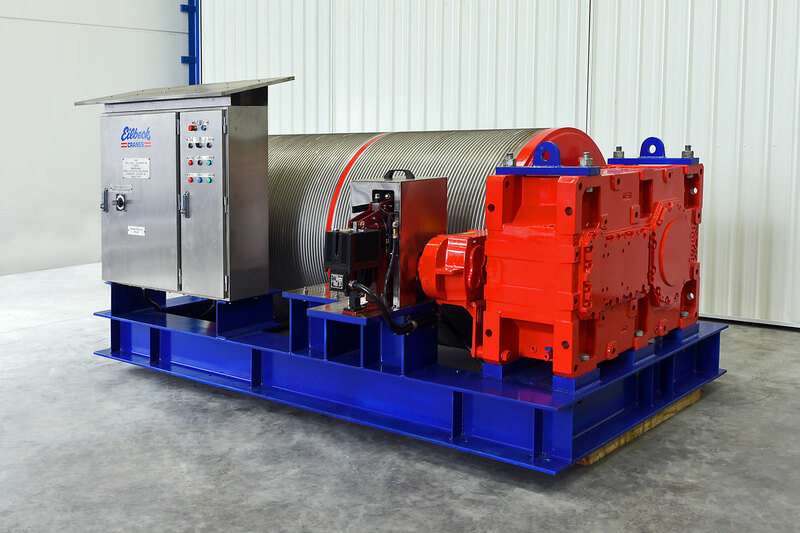 These quality custom made winches built with an integrated engineering solutions with special electrical systems. 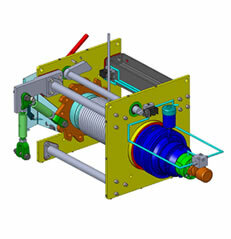 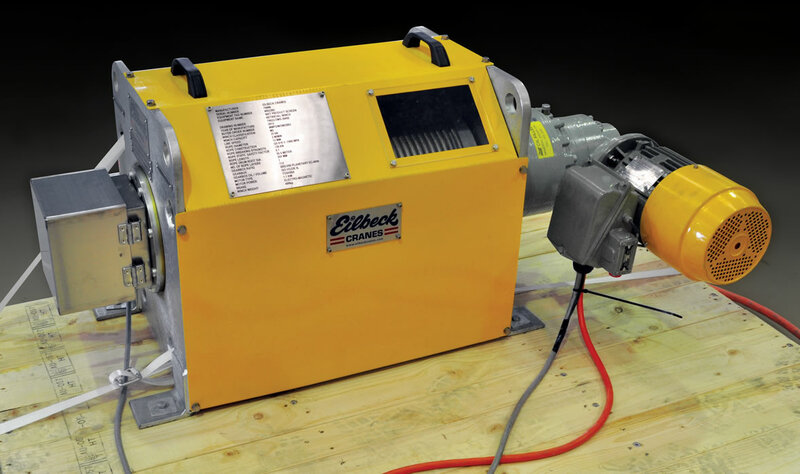 The Winch Control System includes an embedded IEC 61131 control program. 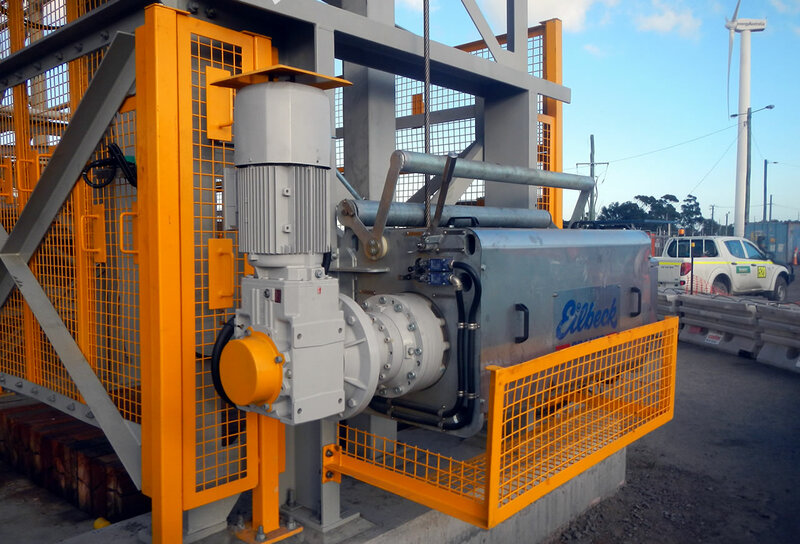 With modern VSD technology interfaced to the clients SCADA system high end control & diagnostics are achieved, realising a high quality, low downtime process. 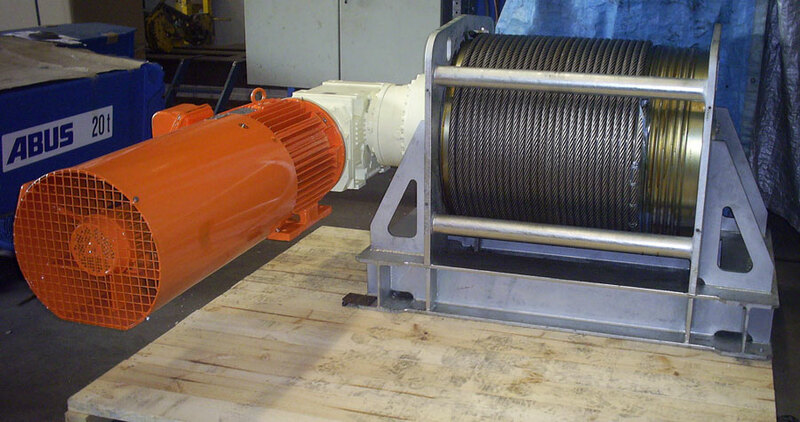 The winch system is used to position the counterweight within the acceptable travel limits in the take-up tower. 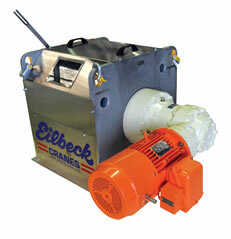 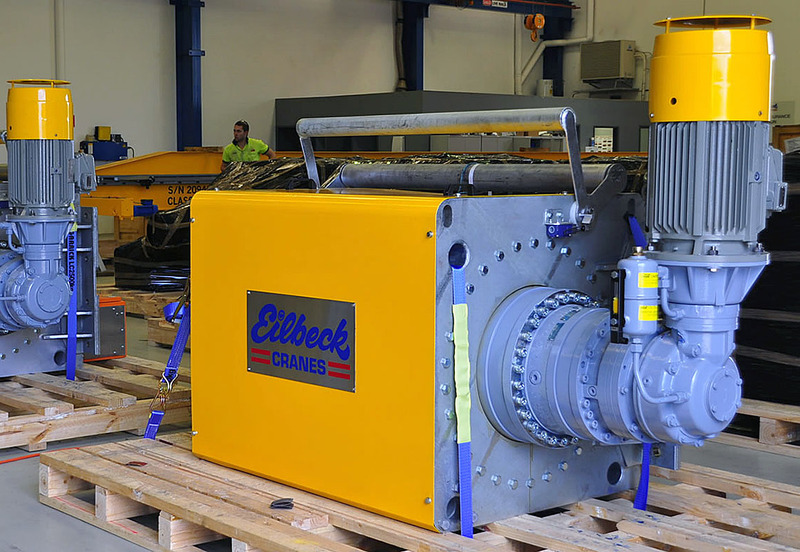 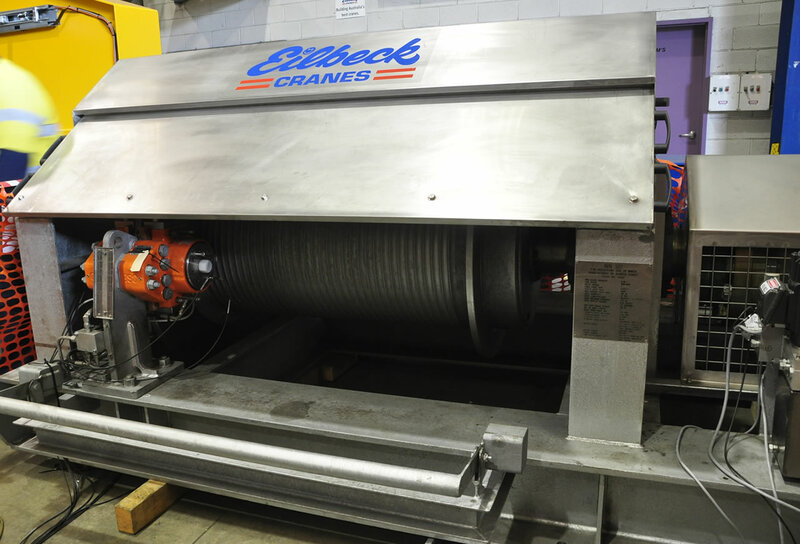 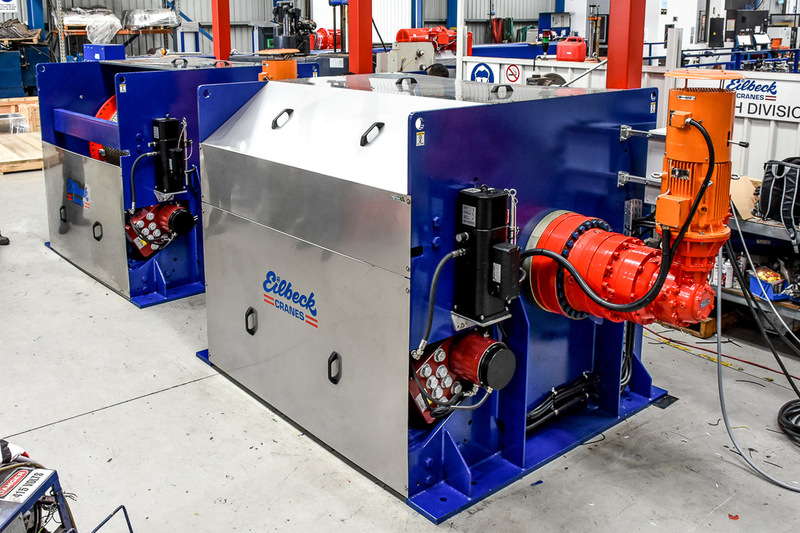 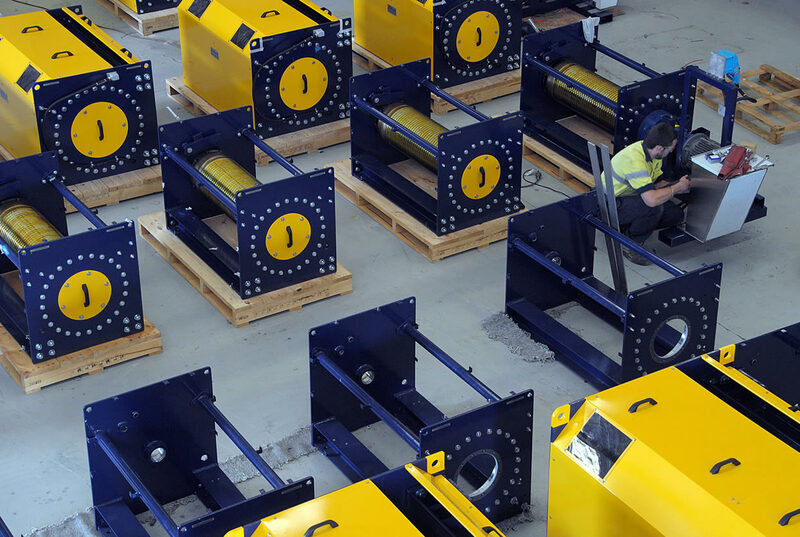 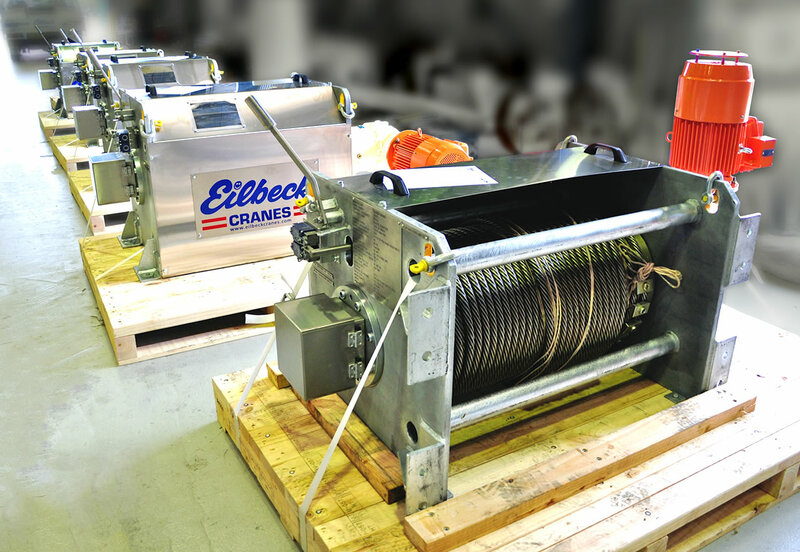 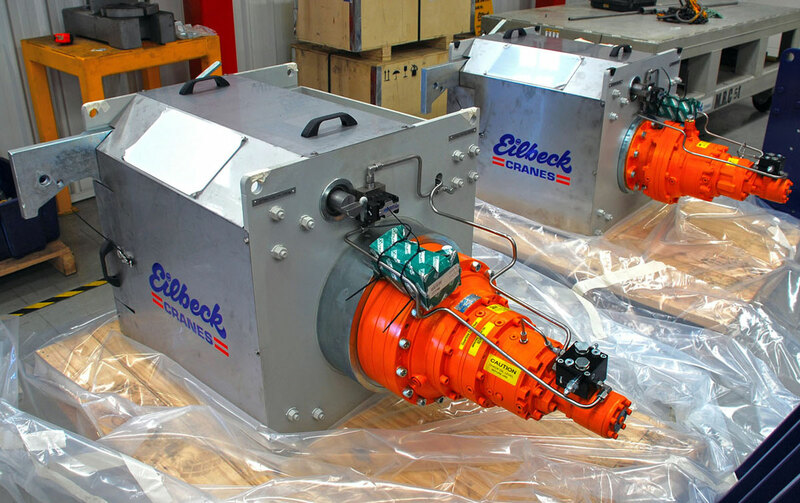 Eilbeck Cranes contract comprises of 13 off Winches ranging in capacity from 3.5 to 19.4 tonne line pull, 86 off Sheaves ranging from 400 mm to 630 mm, 3 off Tramp magnet hoists, 4 off Maintenance Hoists. 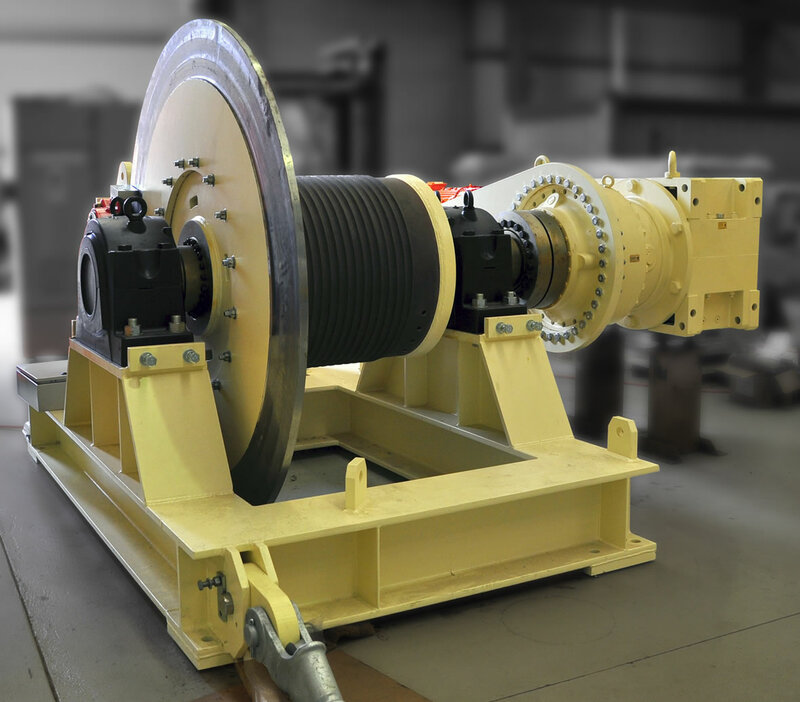 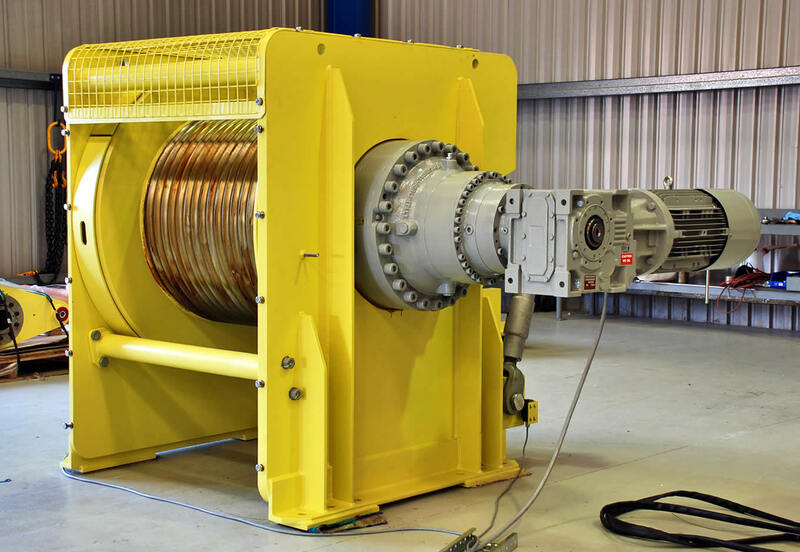 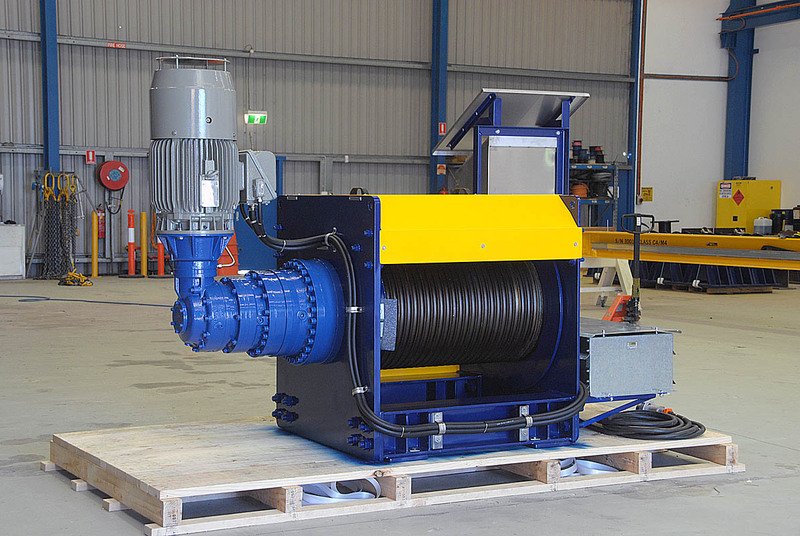 Eilbeck delivered a repeat order for counter weight winch located on the tail end of existing conveyor at Alcoa Myrar Mine site in West Australian with a line capacity of 24 tonne line pull with 190m rope capacity of 44mm diameter rope. 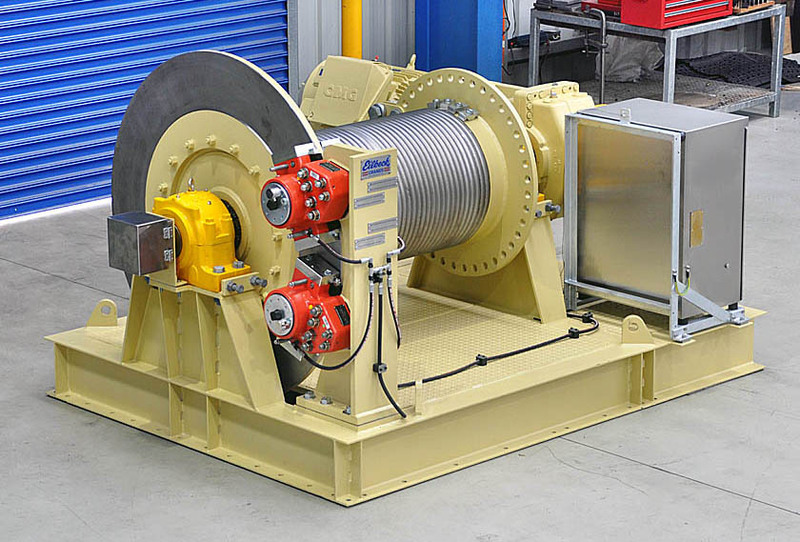 The new winches have a 3 tonne pull at 4.0 m/min 140 m line capacity VSD control with a remote control, IP66 rotary limit and simple plug fitting and standard wilco outlet. 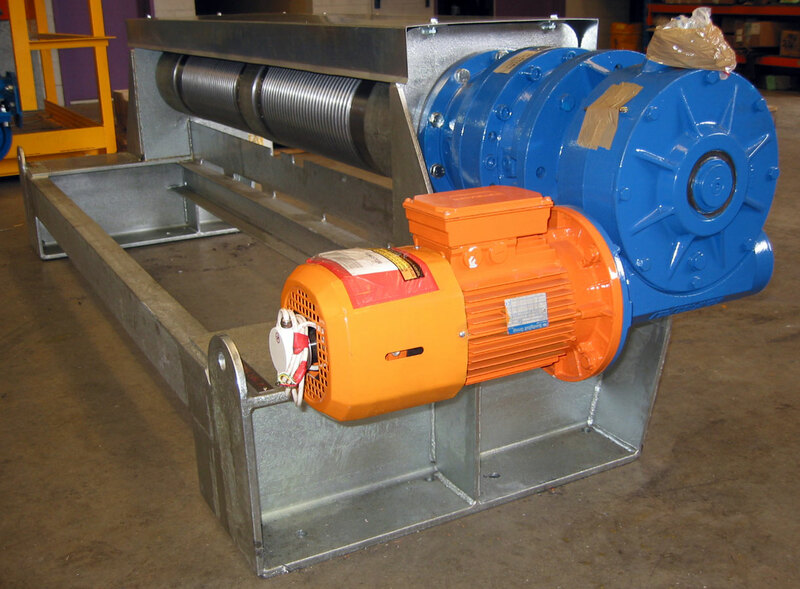 The conveyor take-up winch is supplied as a fully assembled unit mounted on a single base frame suitable for bolting either onto a steel structure or concrete plinth and using shims for levelling.